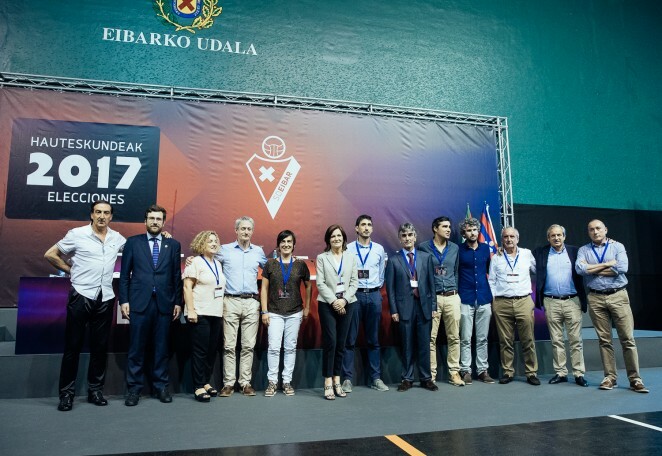 The candidacy headed by Amaia Gorostiza has won the thirteen posts in the new Board of Directors of SD Eibar following the elections held today at El Frontón Astelena in the province of Eibar. The full number of shares that participated in the voting has increased to 23,219 which means 50.26% of all of the Club’s shares. The nominal value of these shares rose to 1.39 million euros. On completion of the shareholder meeting, the first meeting of the new Board of Directors took place before a notary, during which the new Chairperson, Amaia Goión, was elected. Three nominations appearing before the ballot were led by Amaia Gorostiza, followed by Germán Albistegi and John Sager. The latter were the first elections held at SD Eibar S.A.D. The Frontón Astelena was attended in person by a total of 498 shareholders, represented by a further 2,955.